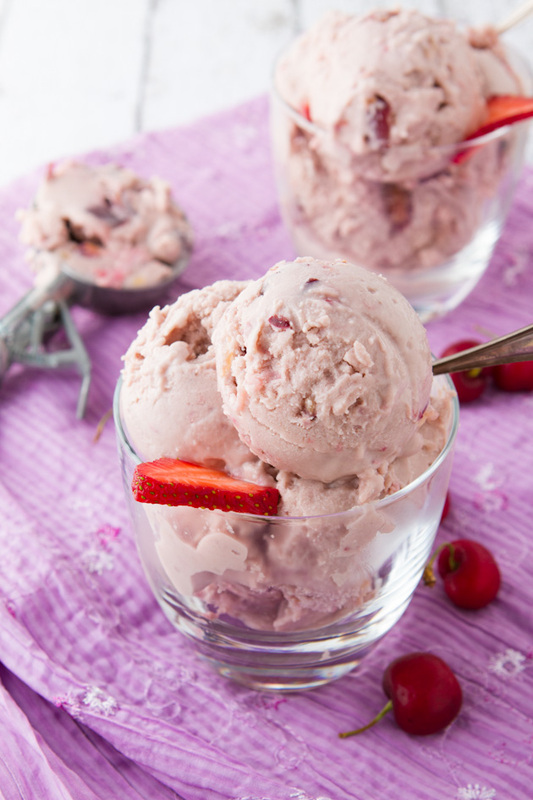 Healthy nut-free, dairy-free ice cream with cherry chunks and strawberry ripples. It’s packed with protein, too! Add navy beans, non-dairy milk, banana, honey and extracts to the just of your high powered blender and blend on high for 3 minutes or until ridiculously smooth. Pour into a bowl and stir in strawberries and cherries. 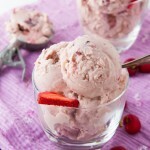 Ice cream maker version:transfer mixture into a bowl. Cover and chill for 12 hours. Then, use in your ice cream maker, according to its directions. To make vegan: use coconut nectar instead of honey.